In the distant alternative future, you will become Morgan Yu and be far beyond the Earth, in the state-of-the-art research and development complex Talos I. As a result of dubious experiments you have acquired extremely unusual abilities of extraterrestrial nature - and this is very useful, because you are already in danger of death. Prepare to rebuff the frightening enemy who seized the space station. - On board the Talos I complex, everything is not what it seems. 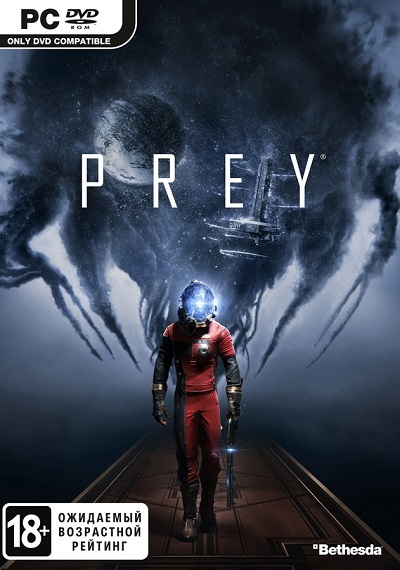 Playing for Morgan Yu, you have to look for clues that you left for yourself, and try to uncover the secrets of the station and your own past. - The station hovering in the orbit of the Moon is the peak of the achievements of private space business, a single ecosystem in which everything is interconnected. Every room of "Talos I" is available to you from the very beginning ... if, of course, you find a way to get into it. - The elusive alien creatures that captured the "Talos I", operate with only one purpose - to destroy the victim. You are one of the last survivors on board the station, and today it is up to you whether tomorrow will come. Ключ пришел сразу же. Спасибо. Всё отлично, игра успешно активировалась в стиме, дополнение за предзаказ - тоже. Всё отлично. Товар получил сразу. Спасибо за оперативность и надежность! Отлично, купил, все активировал, гарантирую качество. Хочу подарок! Ключ активирован успешно, бонус предзаказа получил. Спасибо за игру. Хочу подарок. Всё работает, цена ниже чем в стиме, так что + однозначно! Все прошло отлично, активировалось без проблем! Спасибо большое! Возникли проблемы при активации (оказалось во всем STEAM виноват), но продавец помог во всем разобраться и ключ успешно активирован!